Newly planted seedlings grow near fully grown trees of various sizes at Mike McCartha's Christmas tree farm in Gilbert, S. C.
Christmas tree farmer Mike McCartha shakes the debris from a tree before wrapping it up for the trip to his customer's home. McCartha says he enjoys being outdoors in nature all year, but adds that he loves his job because "it's one of the few businesses where all your customers are in a good mood." 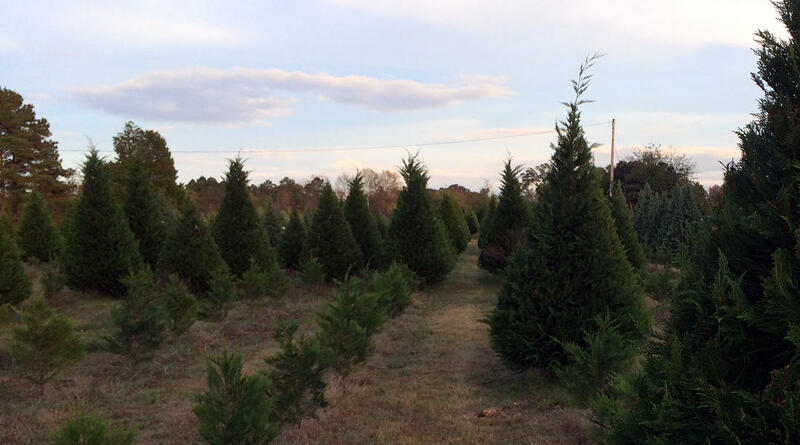 Growing Christmas trees started out as a hobby for Price. That was more than 30 years ago. 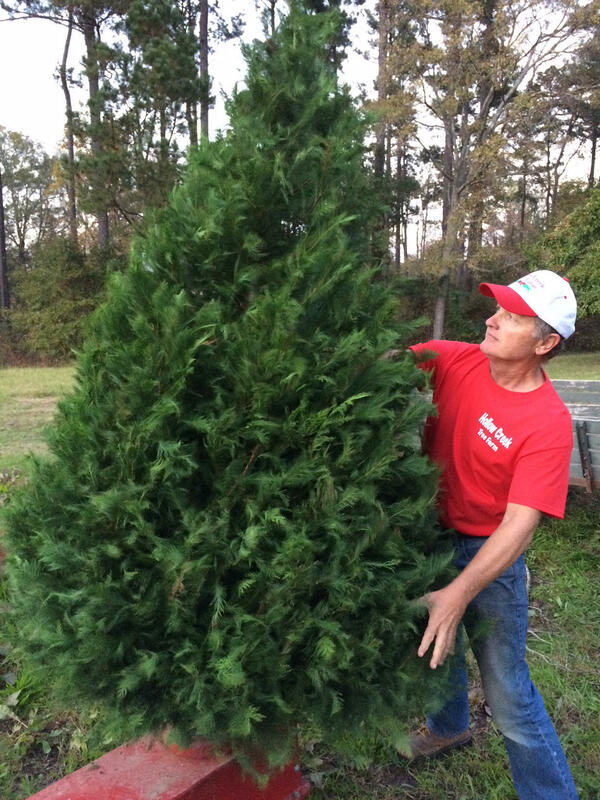 Though it’s a lot of work, he enjoys seeing customers who have bought trees from him since they were dating, and now their children have grown up and are coming to him for their own trees.